I seek, from an experienced and seasoned perspective, to wisely corrupt the Gay Youth of today with Love! I’m reading The Apology of Socrates at the moment. It’s a dramatised version of a real event-the trial of Socrates, the outcome of which was his execution. Socrates was openly gay [as was his pupil Plato]. He was accused of being a worshiper of false Gods and a corrupter of the youth of Athens. In his defence he states that the charges are trumped up by 3 of his enemies. He is an old man in his seventies and he acknowledges that he has made many enemies over the years but never deliberately. However in his quest for those who might be wiser than him, [and he, himself believed that he was in no way wise but the Oracle of Delphi had proclaimed him to be the wisest of all men], he has systematically debunked the pretended wisdom of those who have been willing to present themselves to his scrutiny. And none have taken kindly to the humiliation of the exercise! So what is this soul, the improvement of which Socrates was prepared to die for? I was trying to get him to explore what happens when thinking is ‘turned down’ as for instance during the act of meditation. What happens before the development of formal operational thinking in a young child? For me there is a clear duality in my being –the thoughts that I have and the being that I am. The thoughts and actions I am engaged in may be tools of expression for my soul or may be a chattering distraction from who I am. To imagine that my thoughts and actions constitute who I am would be like saying that the computer VDU screen IS the computer and that when it is switched off the computer no longer exists! Ok so my advice for this week- for the improvement of your soul- is to demonstrate to yourself fist of all that it exists. Experiment a little with your thoughts and see if you can just turn them down. Take some time out, maybe 5 or 10 minutes and say ‘I will see what happens when I let go of my thinking’. Make sure that you won’t be disturbed. Find somewhere to sit comfortably. Close your eyes and imagine a very large tree by the side of a gently flowing river. 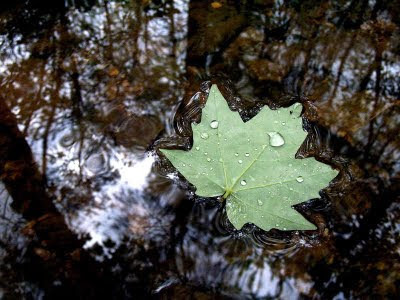 As a thought arises in your mind imagine that it is a leaf on the tree falling into the river and being carried away. Each new thought becomes a falling leaf and is carried away. Now ask: Did you cease to exist just then or was your existence enhanced? Feel free to email me and I'll try to get back to you. If you link to me I'll link back! April'19: 'Please Don't Be Creepy"
August'18 Giver or Receiver: Top, Bottom or Versatile? April'18 Radical Faeries: Why Are We Here? February15 Issue: How I feed my Faerie! June14 Issue: Which comes first for you- Queer or British? April11 Issue- Why are you Gay? December10 Issue- How Gay Are You? GayWisdomBlogs I Can't Stop Following!